Goody had teamed up with Dreamworks animated movie Trolls to make these Troll-tastic hair accessories. 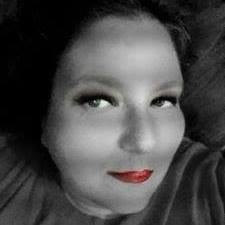 I remember being a fan of the Trolls when I was a child and I love seeing them up on the big screen with my children. 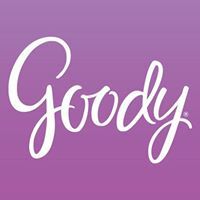 The fact that Goody is teaming up with Trolls makes this giveaway extra special. Have a hair-ific day just like Poppy from the animated movie Trolls! This Goody Trolls Gift Pack with a Poppy Pink Hair Brush includes all the accessories you need to create a trolltastic look. The flower headwrap features Poppy’s signature blue flowers and the hair clip helps control bangs, flyways and loose hairs. 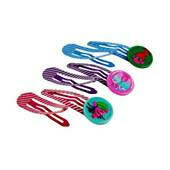 Use the ribbon hair elastics to put your hair in the air, just like the Trolls! 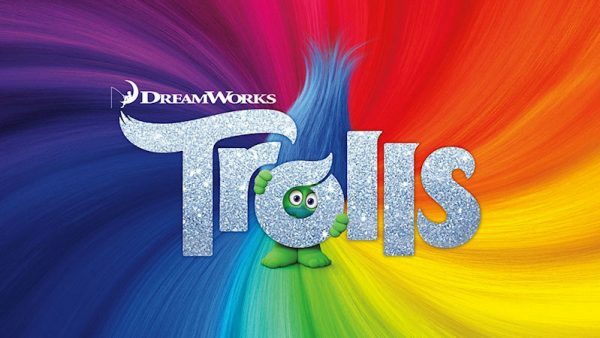 DreamWorks Trolls Copyright 2016 DreamWorks Animation LLC. All rights reserved. 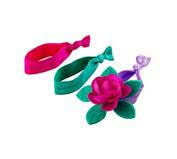 Create any style from pigtails to braids and ponytails with the Goody Trolls Hugtime Ribbon Hair Elastics. These soft and stretchy ribbon hair ties won’t pull or snag hair and is comfortable enough for all day wear. Includes a special ribbon hair elastic with a flower charm that mimics the Hugtime watch that every Troll wears! Have a hair-ific day just like Poppy from the animated movie Trolls! 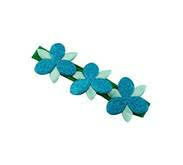 The Goody Trolls Poppy Flower Sparkle Headwrap helps you stay stylish while controlling bangs, flyways and loose hairs. Comfortable enough for all day wear, this bright-colored headwrap featuring Poppy’s signature blue flowers adds instant style to any hair style and outfit. So go ahead, throw your hair in the air like you don’t care! Have a hair-ific day just like the fun characters from the animated movie Trolls! 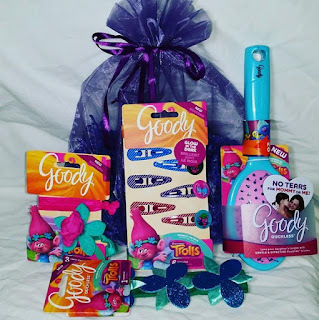 The Goody Trolls Glow-in-the-Dark Headwrap helps you stay stylish while controlling bangs, flyways and loose hairs. Comfortable enough for all day wear, this headwrap glows in the dark and features a fun print with Fuzzbert, the troll made of just hair. Day or night, this hair accessory helps you look trolltastic! 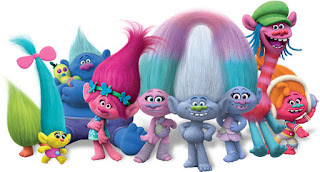 Have a hair-ific day just like the fun characters from the animated movie Trolls! 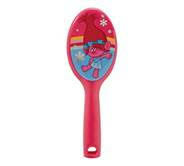 The Goody Trolls Contour Hair Clips with Charms easily snaps in place to hold loose hair. Four snap clips feature Trolls charms for extra fun. 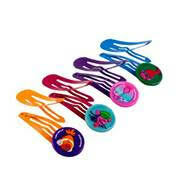 With a mix of bright colors, these hair clips help you look trolltastic every day!